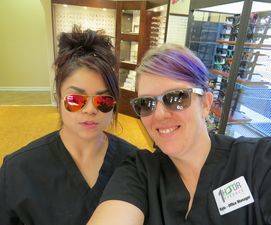 Looking for the Perfect Pair of Sunglasses in Montrose, CO? Looking for Sunglasses in Montrose, CO? Whether or not you require vision correction, sunglasses can add an element of comfort and enhanced performance to your activities, while helping you look great. 1 Hour EyeDocs has the leading team of optometrists in Montrose. Browse some of the designer eyewear brands we carry in Montrose CO.
Watch our short video about sunwear. Have questions visit 1 Hour EyeDocs in Montrose, CA.